In many ways this is the most interesting category, because the engineering and maths for these ideas checks out… it's just the maths associated with construction costs that don't close. And by ‘don’t close’ I mean you'd probably have to mortgage Earth itself to pay for just one. A steel and concrete globe about a third of a mile in diameter, floating in space, the Bernal sphere wold be a teeny, inside out, planet. Residents would live inside and it would rotate once every thirty seconds to provide Earth like gravity along its equator. Since this artificial gravity would peter out near the poles, and the poleward surfaces would appear to be sloped, it would be like living near the bottom of a really weird valley, wrapped around itself. A valley wit one added bonus: If you climbed the walls high enough you could fly! 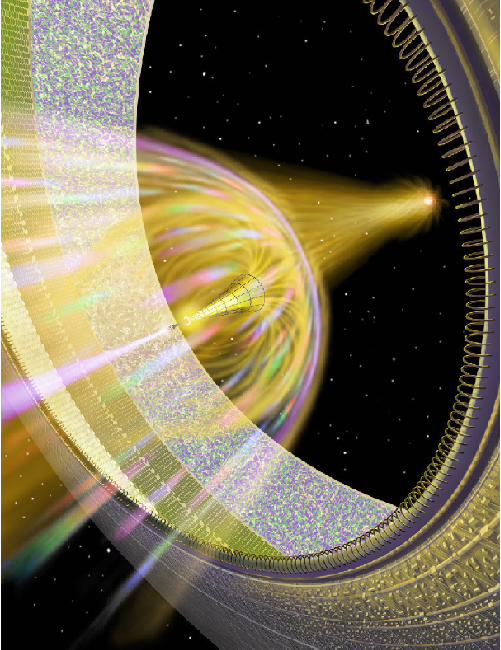 Above: The Stanford Torus from the movie Elysium. Have you sen the movie ‘Elysium’? That space station is a Stanford Torus: A donut-shaped tube 130 meters thick with a diameter just over a mile. It also spins to produce its gravity, but unlike the Bernal Sphere the inner portion of the tube is open – the artificial gravity alone holds the atmosphere in place. The torus would house a similar number of residents to the sphere. I prefer the torus as, looking up, you’d see both the far side of the torus, and the stars beyond. Spokes could connect the habitat ring to a central hub where spacecraft can dock, so when you visit your first sight will be the whole ring stretching around you. Weighing in at 10 million tons, you’d need an asteroid mining industry already in place to build this beast, but it could certainly done using materials like steel and concrete. 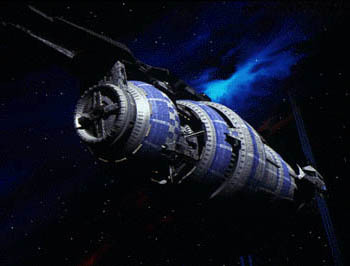 Above: The Babylon 5 space station, the adventures of which crew I watched on a Sunday as a kid. If you’re old like me* you probably remember a Sci Fi show called Babylon 5. If you don’t: The show was about the crew of an O'Neill cylinder, christened Babylon 5. As the name suggests, it’s a cylinder the main body of which is about 5 miles wide and 20 miles long. 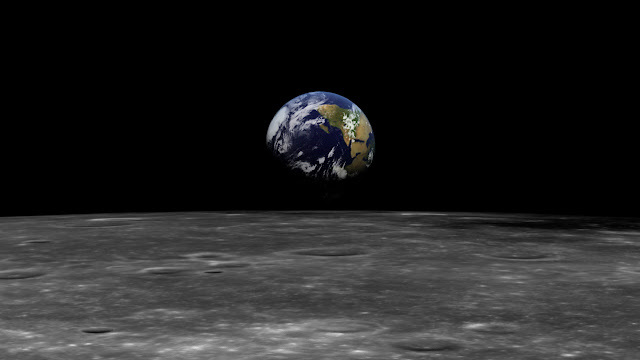 Once again, a gentle spin of one revolution every minute and a half would be enough for terrestrial gravity. O'Neill’s original design had two cylinders built in counter-rotating pairs to offset destabilising, gyroscopic effects that would cause the cylinders to stray from their intended, Sun-facing angles. While any of these space colonies would be far more vast than the International Space Station, their engineering challenges could be met. "From an engineering standpoint, the structure is very easy—the engineering calculations are totally valid," says Anders Sandberg, a research fellow at Oxford University who has studied megastructure concepts. A Bishop Ring, originally proposed in 1997 by Forrest Bishop, is the Staford Torus’s big brother. Like Stanford's design, the Bishop Ring would spin to produce artificial gravity, but differs that it would use carbon nanotubes instead of steel. That would allow it to be approximately 1,000 km in radius and 500 km in width, containing 3 million square kilometers of living space – about the same size as India. The habitat could either have an arrangement of mirrors to reflect sunlight onto the inner rim or an artificial light source in the middle, powered by a combination of solar panels on the outer rim and solar power satellites. Above: Artists impression of the inside of a McKendree cylinder, courtesy of Eburacum 45. The Stanford Torus has a big brother, and the O’neill cylinder has one too: A McKendree cylinder is a space habitat originally proposed at 'NASA's Turning Goals into Reality' conference by NASA engineer Tom McKendree. As with other space habitat designs, the cylinder would spin to produce artificial gravity by way of centrifugal force. It differs from the classical designs by using carbon nanotubes instead of steel, allowing the habitat to be built much, much, larger. In the original proposal, the habitat would be 460 km in radius and 4600 km in length, containing 13 million square kilometers of living space… nearly as much land area as Russia. McKendree proposed dedicating half of the surface of the colony to windows, allowing direct illumination of the interior. The habitat would be composed of a pair of counter-rotating cylinders which would function like momentum wheels to control the habitat's orientation. But why stop at ideas we might be able to build with a limitless supply of our most advanced materials? Now we're definitely into science fiction territory: The ideas below are things we couldn't build, not even with infinite resources and all the exotic building materials we could eat**. That said... today's super strong materials were impossibly strong a hundred years ago: Maybe in another thousand years some engineer will be looking at plans for one of the ideas below and going "Yep... we can do that...". 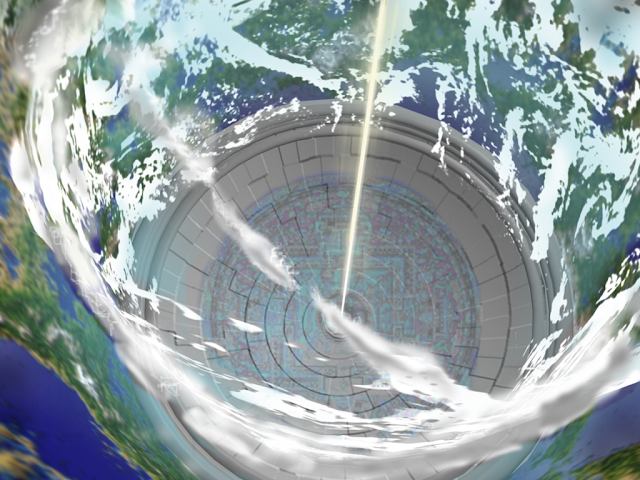 Above: An artists impression of a ringworld. Not just an even bigger brother to the other rings – a ringworld is an artificial ring approximately the diameter of Earth's orbit (which makes it about 1,000,000,000 meters in circumference), encircling a sunlike star. It rotates, providing artificial gravity, and has a habitable inner surface equivalent to, oh… about three million Earth-sized planets. Night is provided by an inner ring of shadow squares. The idea for this first showed up the the Larry Niven novel 'Ringworld' and caught a lot of peoples imagination. 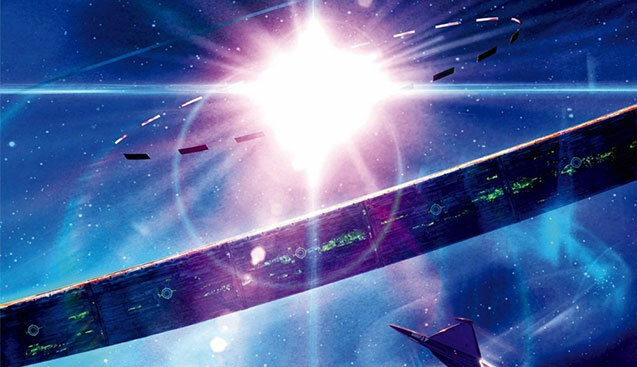 In the novel the titular ringworld is made from a material that has a tensile strength nearly equal in magnitude to the strong nuclear force. In science circles we call such amazing miracle materials ‘unobtainium’… but history teaches us not to be so sure we understand the bounds of what’s possible. Image: The Shipstar. Artwork by Don Davis. If you're gonna build a titanic world all around a star, why not make use of all that caged power and turn the whole insane structure into a mind buggeringly huge starship? Because that’s utterly insane, of course. "Our Bowl is a shell more than a hundred million miles across, held to a star by gravity and some electrodynamic forces. The star produces a long jet of hot gas, which is magnetically confined so well it spears through a hole at the crown of the cup-shaped shell. This jet propels the entire system forward – literally, a star turned into the engine of a “ship” that is the shell, the Bowl. On the shell’s inner face, a sprawling civilisation dwells. 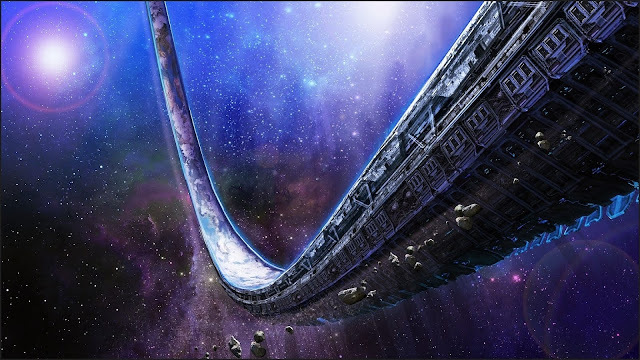 The novel’s structure doesn’t resemble Larry’s Ringworld much because the big problem is dealing with the natives. A complete flight of sci-fi gibberish, yes? But then, what would the people of the Roman empire thought of the geostationary satellite ring that encircles our planet, 36,000 km wide? Or the Three Gorges dam?